- How will IMPACT WRESTLING GM Sting react to what World Heavyweight Champion Bobby Roode did to him during this past week&apos;s main event? At the end of the broadcast, Sting hit the ring to try to help Jeff Hardy, but Roode smashed Sting with the World Title and attacked him! Sting will hand down punishment on the World Champ, but what does he have planned for Roode? Tune in and find out! - The number-one contender to the World Heavyweight Championship, "The Charismatic Enigma" Jeff Hardy, will be on the huge broadcast as he prepares for his shot at the gold at "Genesis" against Roode! What roadblock will Roode try to put in Hardy&apos;s way this week - and what will Sting have to say about it? 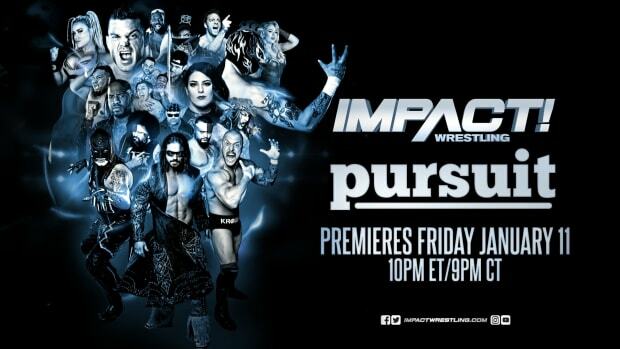 - Plus, now that Karen Jarrett is gone from IMPACT WRESTLING, who will manage the Knockouts Division? Will the other Knockouts rise up against Knockouts Champion Gail Kim and Madison Rayne now that Karen is out of the picture? Don&apos;t miss Thursday&apos;s broadcast! AND, more matches will be announced for the "Genesis" Pay-Per-View event!